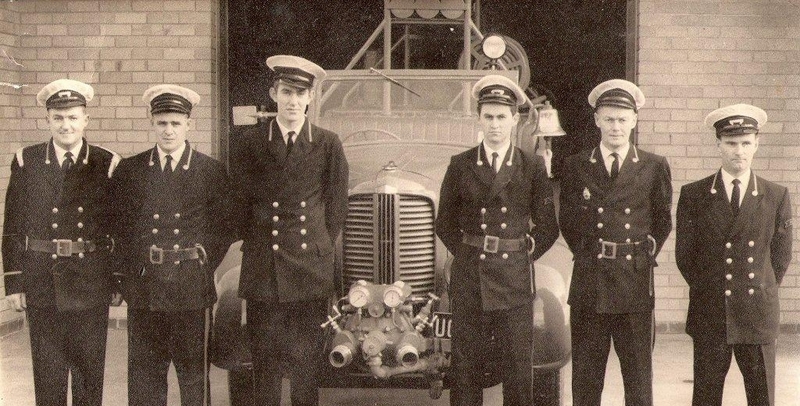 Kalamunda Fire & Rescue Service is an entirely volunteer station, with up to 40 members, and is part of the Fire & Rescue Service of Western Australia under the Department of Fire & Emergency Services (DFES). As part of this service, we protect areas of Kalamunda, Lesmurdie, Gooseberry Hill, Walliston, and sometimes assist in surrounding areas. We can be responded to anything from a smell of smoke in a house, to scrub and bush fires, traffic accidents, hazardous materials incidents, and on the rare occasion, an exploding fireworks factory. We have also attended large fires as far as Albany, Serpentine, Neerabup, Dwellingup, Whiteman Park, Parkervile/Stoneville and Northcliffe. This usually involves only our Light Tanker, or a second light tanker which has been assigned over the summer months, but we have had full turnout under emergency conditions to Neerabup in 2001 and Parkerville/Stoneville in 2014, as well as other out of area responses. More recently in 2015 Kalamunda sent crews to attend major bush fire incidents at Northcliffe, Baldivis, Lower Hotham and Bullsbrook. In 2016 crews attended the devastating Waroona / Yarloop bush fires. In 2013 we also attended a hazardous chemical spill at Mundaring water treatment plant. We have even sent members to assist in NSW on several occasions. Our station is located in Central Rd, Kalamunda. This is in the hills, about 25 minutes drive east of Perth. Our response area is surrounded by National Parks and other bush and scrubland, providing a high risk in the bushfire period, and a large number of incidents involving these areas of native vegetation. Kalamunda VFRS has teams who have competed in Road Accident Rescue Competitions, Service and other competitions, always giving their best not only on the fireground, but off it as well. Kalamunda Road Accident Rescue Team has competed in National and local/State competitions including the Western Rescue Competition involving teams from throughout the Australasia region, with some good results. These competitions provide an exciting challenge for the firefighters involved, as well as the opportunity to discuss and learn about new skills, equipment and techniques, which have been brought back to the community and assisted in many incidents the brigade attends. For several years, Kalamunda VFRS has participated in a new service competition being introduced to the more traditionally oriented Easter Championships. The service competition involves performing tasks that are currently being used in service, racing against other teams and the clock. The competition has been changed several times, trying to determine the format of the event for the future. Kalamunda has an extremely good record in this competition and looks forward to seeing the event grow. Members also attended the National Firefighting Championships held in Queensland in 2005. This was the first time that the National Event had included teams from Western Australia, and while the team did not bring home any prizes, the team performed well, and showed some promising skill against formidable competition. The next Championships were held in Lakes Entrance in Victoria in 2007 and team from KVFRS brought home a prestigious gold medal in the Pump Suction Event. As volunteer firefighters, we do... what we can, when we can, where we can, if we can and to the very best of our ability.